Today’s culture tells you that you can convert a business into a multimillion-dollar business overnight. It is ludicrous without outside help of financing or angel investment. What does that have to do with my club? Well think about it…how long has your club been in business? Did it appear overnight or did it grow during the hay day and develop a solid product and claw its way to the top, middle or bottom of the pack? There are 15,000 clubs across America of which 3,000 need and will go out of business so that the supply and demand for golf can adjust appropriately. The question is… are you one of the 3,000? Not my club, our club is worth 5 million! We have been around since 19…ancient. The community would not have it. Let’s dial into reality ranch and look at the 15,000 clubs. 1,500 of the clubs across America are profitable and are solid businesses that generate significant profit, fund their capital fund for future investment and have ample demand to regulate price. This article is not for you! Roughly 10,000 clubs are at a break even or lose money point and don’t support a capital replacement plan. These are clubs that are operated by boards, general managers, and often individual owners and several management companies. This is where if two or three clubs went away in a marketplace it would be great for the remaining clubs. First rule success is to know when you need help! Often clubs are run by committees or influential groups of members that have a minority ulterior motive voice. They may be a group of the loudest minority, toxic voices of a club. They are the ones that complain about everything that the club offers, other members, and always threatening to take their group and pulling their business to another club. I say get rid of them. They are toxic to try and sell your club membership. They are making it harder to attract members that want to use the club as a vacation spot not a gossip spot. Let them take their business someplace else. You have to purge and prune to grow! This group is at every club in America and they are stuck in the ’60s, ’70s, and 80’s when clubs had waitlists… I always laugh to myself when it’s brought we used to have a waitlist… and people just need to know our club is here. What planet are they living on? Math doesn’t lie… it is universal and eventually, it always tells the truth. Do your homework on your demographic study. Who is your market? Are you missing the mark in any category? How many available golfers are in your 15-mile radius? What is the strategy to attract those families to your club? What is the average family spending on ancillary income in your area? What is the median family income? Where can you increase the sales funnel? How can you expand the available number of prospective members?  At Up to Par Management… we do this and then some! This is why we are successful with our membership campaigns. WE TRY HARDER and outwork our competition when it comes to doing the work. We don’t listen to the stuck-in-the-mud committee members who want the club to be the way it always was…we go with math. Math never lies. At one of our clubs, we recognized several classifications that the previous club’s management missed. We identified, planned, designed, implemented our membership plan, and consequently sold 105 New Memberships in a 5-month period. MATH WORKS. 3. Not My Pro! He’s the Best! Walk into most golf shops across America and you will find the problem standing behind the counter. While I am PGA member, most of my fellow colleagues just don’t get it. They think playing with the membership, more importantly with Board Members, is the most important aspect of their job. Why? Job preservation. If they develop a strong relationship with a board member/owner then it makes it difficult to see all their shortcomings. They have a business that they need to run, generate sales, conduct marketing, formulate a hard-working team, and increase revenue. Tell me how playing golf with a member is going to do this? The PGA of America has a significant problem that very few people are getting into the business… This may be great for the game as we continue to look elsewhere for a workforce. Finally, we might get a sales-centric, marketing, customer service focused staff driving innovation at the front lines. My Pro is the best… next time you say that, take a million dollars from your bank account and give it to your “best pro” and say run my business and give a 10% Profit Margin. I dare you. I double dare you… I didn’t think so. 4. It is always about the walnuts in the chicken salad! Every member eats… let me say this again. Every member and I mean every member eats! If it’s not good, give it up! The food and beverage experience must be great and must be profitable for the club to attract new members. The highest rated channel on cable is not Fox News, CNN, ESPN… it’s the Food Network. Why? Because everyone in this world eats, and if they want to continue to live they must eat. Food will attract a buzz that is like no other at a club…only if it is great! Ironically, members do not mind spending money on a great meal. Be consistent with the service and food quality and this will significantly help you in membership drives. Every member eats… let me say this again. Every Member and I mean Every Member eats! If it’s not good, give it up! Really, you are going to leave this up to a volunteer school board member that has never owned a business or had p&l responsibility? Come on… Your son’s best friend who took a graphic design class in high school. At Up to Par we have seen it all when it comes to marketing at country clubs and golf clubs. Marketing is strategic in nature, creative in execution and systematic in implementation. We develop a rolling 12-month marketing plan that adjusts and pivots throughout the year and we are systematic with our hourly, daily, weekly, and monthly marketing implementation. Yes, that is correct what I said. WE TREAT IT LIKE A BUSINESS… Why – BECAUSE IT IS ONE! Every multimillion-dollar business should have a strong marketing plan that corresponds to a strong sales plan that ties into the desired outcome. I’m sorry, if you leave it up to your “best pro,” you fail. Leave it up to your General Manager, and you fail. Leave it up to your volunteer marketing committee, and you fail. What are you doing to drive your Google rankings? Is your website mobile? Can you make a transaction from a phone? What is your CRM for the property? So many questions that never get answered or completed and this is the reason membership programs produce 5 new members in the spring and the board is happy because you didn’t lose 10 members this month. Sorry for the cold hard facts on why your club is one of the 13,500. Truth hurts sometimes. If you interested in successful membership drives, drop a note at sean.taylor@uptoparmanagement.com or give us a call at 540.464.4653.